This glass tumbler sized Yankee Candle comes with a Thank You message. 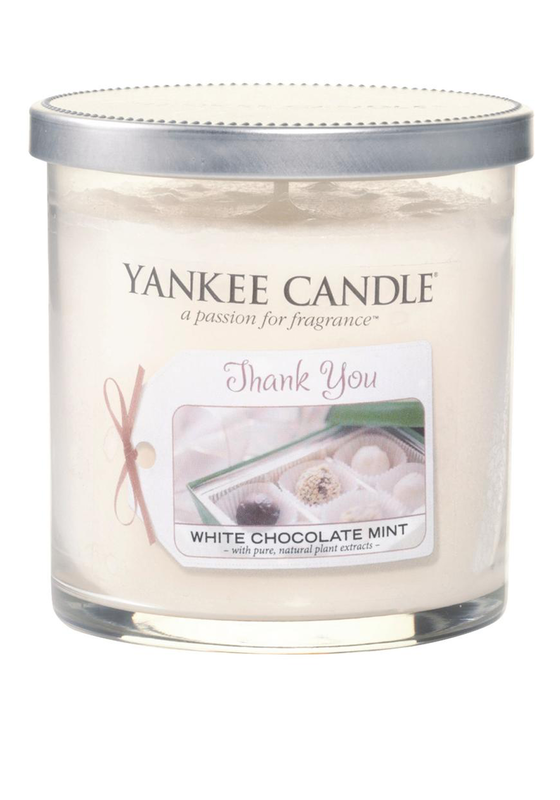 The white chocolate mint scent will remind you of a sweet shop. The scent of this candle will make your home feel warm and inviting. The Thank You message makes this a great gift idea to give.